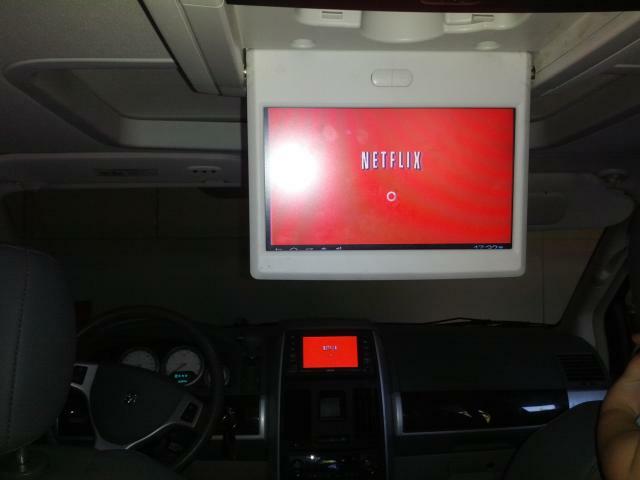 The 2010 Dodge Caravan SXT I recently acquired has an interesting feature - a built in "Vehicle Entertainment System" complete with two rear screens, two DVD players, two aux video/audio inputs, and multi-channel IR headphones. This is all cool, but who wants to be stuck watching things they happen to be carrying around on DVD? This is 2013, the age of streaming media! Immediately, I started pondering how I could bring this system up to date with the current state of ADD-inducing, "always-on" streaming media entertainment! First thing's first. The Chrysler/GM "MyGig" system has a Lawyer-induced feature of disabling any video from the head unit when you put the vehicle in drive. That's rather annoying! 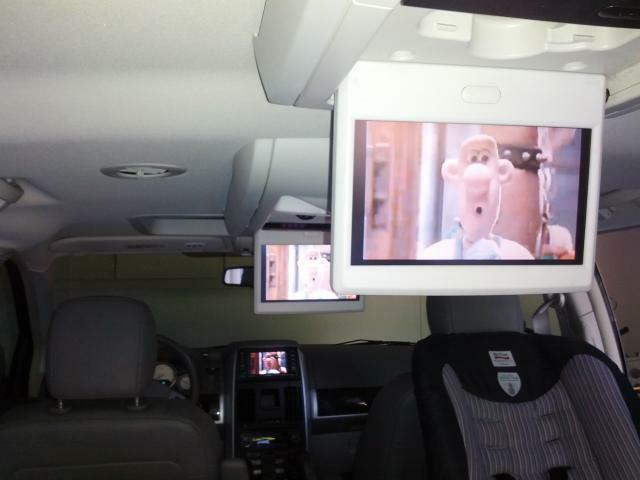 I don't condone watching a movie while you're supposed to be driving, but I'd rather that I dictate to the technology what to do, not the other way around. Thankfully, there are a couple of companies that make products to fool the head-unit into thinking you're never actually in drive. 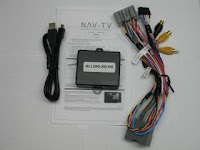 I settled on the NAV-TV Allgig. Installing the Allgig only took about 20 minutes, and most of that was spent opening the console up to pull the head unit out so that I could get at the wiring harness. 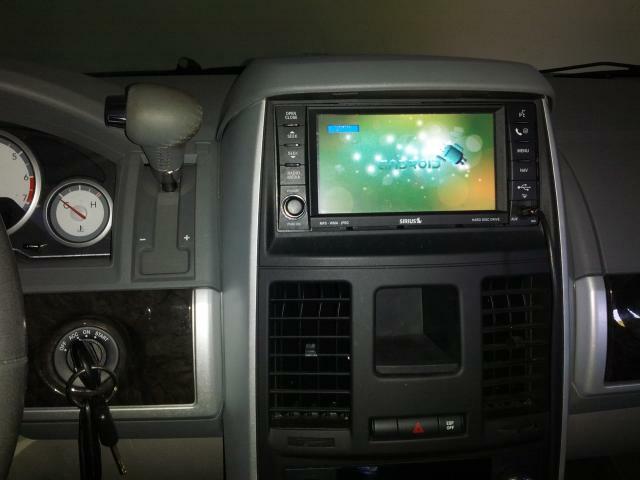 The rest was simply a matter of disconnecting the head unit, connecting the Allgig's included wiring harness between the head-unit and the factory harness, and finding a position behind the dash to secure the Allgig unit itself. So, how to get streaming video? A coworker had purchased an interesting Android 4.0 device from Zero Devices. 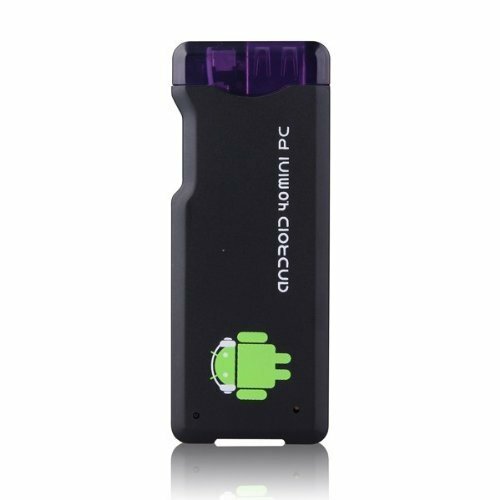 It's a "mini PC" that runs Android, has a USB port for keyboard/mouse input, and an HDMI output port. 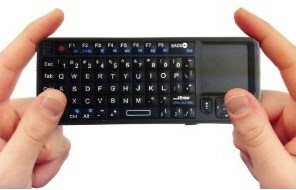 [Amazon.com product link] It's perfect except for two things: A) It doesn't have built-in cellular data service. B) It outputs only over HDMI, whereas the Dodge VEH aux input is standard-definition Composite input. I have WiFi Tethering on my cellular data plan, so I can share my existing cellular data service with this device when I'm in the car by pre-configuring the Mini PC with the same WiFi attributes I use for tethering on the phone. Then I just have to turn on "Mobile WiFi Hotspot" on my phone when I want streaming media in the van. All three worked well over the mobile hotspot with my Verizon data service. SlingPlayer is the "killer app" for this configuration for me, since I have a SlingBox Pro already. It allows me to remotely watch live TV from my home DVR. I played with a couple of different power / connection combinations of the two devices. 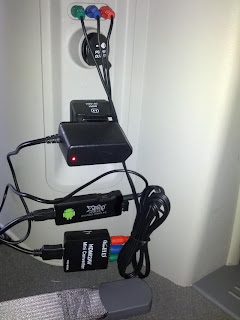 The one that had the least amount of "ground loop" noise was to power the Mini PC with it's included 2A AC adapter, and let the HDMI to Composite converter draw power from the HDMI port. When I tried powering either devices using a 12V -> USB power device instead, I ended up with either an annoying "buzz" or could audibly hear the digital data transfer over the car's speakers. A ground loop isolater would probably work if I only had the audio connections, but I don't know a good way to ground-loop isolate an NTSC composite video connection. Besides, using the car's built-in AC inverter has an advantage over the 12V power port- there's a switch to turn it on/off in the center console. It worked with the Android 4.0 Mini PC right out of the box. Have fun! 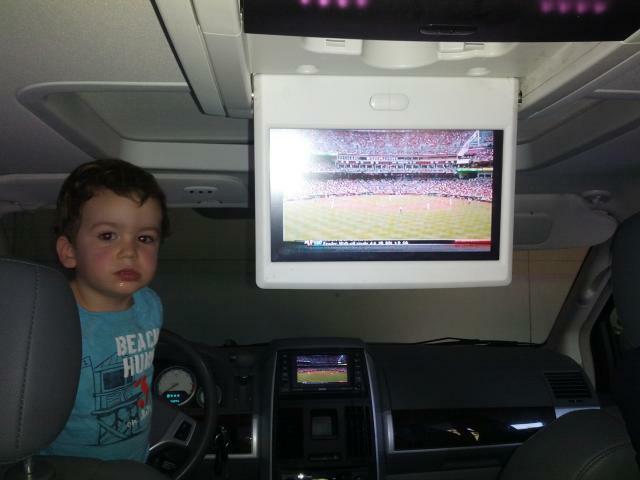 And remember: Don't watch TV while you're driving!